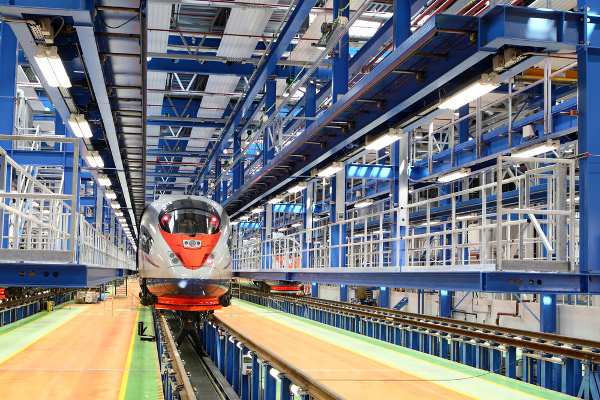 TagMaster, the leading producer of advanced RFID solutions for rail applications has received a new major order from its Italian partner Generale Sistemi. The order, worth over 3 million SEK, will be supplied over the coming months to TagItalia, a division of Generale Sistemi, based in Prato, Italy. The RFID equipment will be used to automatically identify rail vehicles on a mainline vehicle condition monitoring system. Through its division TagItalia, Generale Sistemi has for many years been engaged in providing TagMaster RFID identification systems to the rail sector, particularly for use in both onboard solutions and in the field of dynamic diagnostic monitoring stations. The TagMaster Heavy-duty RFID system is used at these portal systems and forms an indispensable component. The RFID system allows a real-time analysis of the measured conditions to be directly associated with the precise identity of each carriage or wagon examined. An ID-Tag is installed on each car or wagon and the TagMaster reader is installed on the side of the track, which is able to read the tag at speeds of over 300 km/h. “This is a well deserved order for Generale Sistemi. They have been promoting our products in the rail sector for some time and with continuing success. With these new condition monitoring technologies, railway operators are able to identify not only every single carriage or wagon, but also to detect the transit and dynamic composition of individual convoys along the rail network” says Richard Holt, Director of Transportation at TagMaster.